Are Free Trade Agreements Malaysia Way Out of The Middle-Income Trap? Are Free Trade Agreements Malaysia’s Way Out of The Middle-Income Trap? Over the past several decades a strong economy has seen Malaysia rise to become one of Asia’s newly industrialised countries. In one generation it transitioned successfully from low- to upper-middle-income status, due in large part to outward looking policies, trade, and foreign direct investments (FDI) – which contributed to the successful diversification of the economy. Today, Malaysia faces the challenge of escaping the middle-income trap as productivity slows and it becomes less competitive. 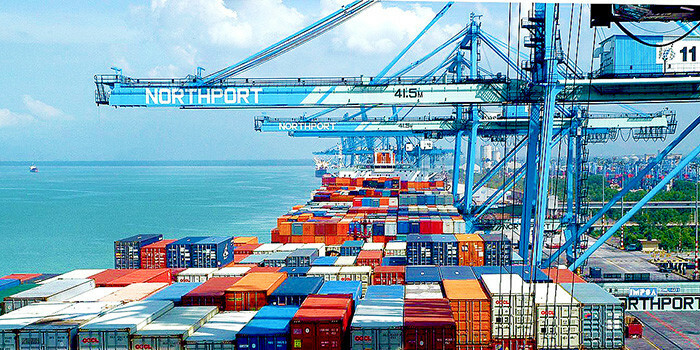 Free trade agreements (FTAs) such as the Trans-Pacific Partnership (TPP) and Malaysia EU-FTA bring the potential for greater market access for Malaysia. 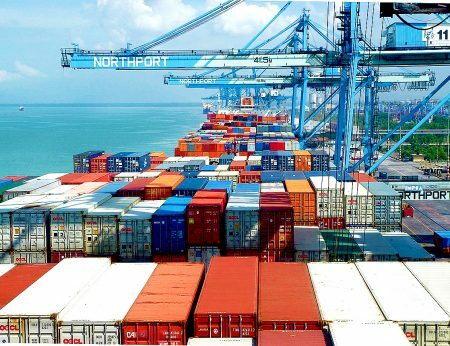 This new generation of free trade agreements offers opportunities for Malaysia to strengthen reforms beyond tariff reduction, covering commitments such as competition and investment policies, non-tariff measures, intellectual property rights, labour standards, and opening up government procurement for competition. With a market-friendly government and a strong track record of reforms, there are new opportunities for reinvigorating structural reforms to support private sector-led economic growth. Accelerating productivity growth is a key element of the 11th Malaysia Plan, which aims to bring Malaysia to high-income status by 2020. A country’s ability to participate in global value chains (GVCs) depends as much on its capacity to efficiently source world-class inputs as on its ability to export. A high and stable share of imports suggests Malaysia, similar to its neighbors, remains well-integrated in global value chains. Given the high level of intra-GVC trade and similarity between imports and exports, a key question is how much domestic value-added is embodied in Malaysia’s exports? In the value chains in which Malaysia participates the country maintains an upstream position relatively far from final consumption. The electrical industry is the closest to final demand, followed by the manufacturing and electronics industries. Thus, there is potential for Malaysia to move further up the value chain. Despite high levels of FDI there are limited backward linkages in the Malaysia electrical and electronics sector. In order to compete effectively in the globalized world economy, Malaysia needs to accelerate productivity-enhancing reforms by promoting innovation, upgrading skills in its labor force, creating a sound business climate that is conducive to attracting and retaining investment, and developing high-growth small and medium enterprises and their linkages to multi-national enterprises. The TPP, of which Malaysia is already a member, brings the potential for much-needed reforms. The TPP is comparable in scale to the world’s two largest regional trade agreements (EU Single Market and North America Free Trade Agreement (Nafta)) – its member countries account for 40 per cent of global GDP and 20 per cent of global trade. Greater market access as Malaysia did not have a free trade agreement with the USA (in addition to Canada, Mexico and Peru). The depth of the TPP, as measured in terms of the number of provisions covered by the agreement, is substantially higher. The largest gains will be in legally enforceable provisions that go beyond the World Trade Organization (WTO) in areas involving competition, investment and labor. The new generation of free trade agreements, such as the TPP and the EU, which is under negotiation, have deep integration provisions and can deliver substantial gains to the Malaysia economy, where the equivalent of non-tariff costs are high. Earlier this year, I had the opportunity to travel to Kuala Lumpur to discuss with the Malaysian authorities and various stakeholders the challenges and opportunities in implementing the newly signed TPP, and offered World Bank Group assistance in helping implement these challenging reforms in Malaysia. Benefits from these free trade agreements go beyond providing market access to goods and services. Certainly new generation free trade agreements like the TPP will entail reforms in difficult areas, some of which are still controversial domestically, including in state-owned enterprises, government procurement, investor-state dispute settlement, labor regulations that allow unionisation, and intellectual property rights. If well-implemented these free trade agreements could create new opportunities and benefits for businesses, workers and consumers by providing comprehensive market access, promoting innovation, productivity and competitiveness, facilitating the integration of countries’ supply chains, and improving regional integration. This article was authored by Smita Kuriakose, a Senior Economist in the Trade & Competitiveness Global Practice in East Asia and the Pacific. It first appeared on the World Bank Blog and is reproduced here with its permission.